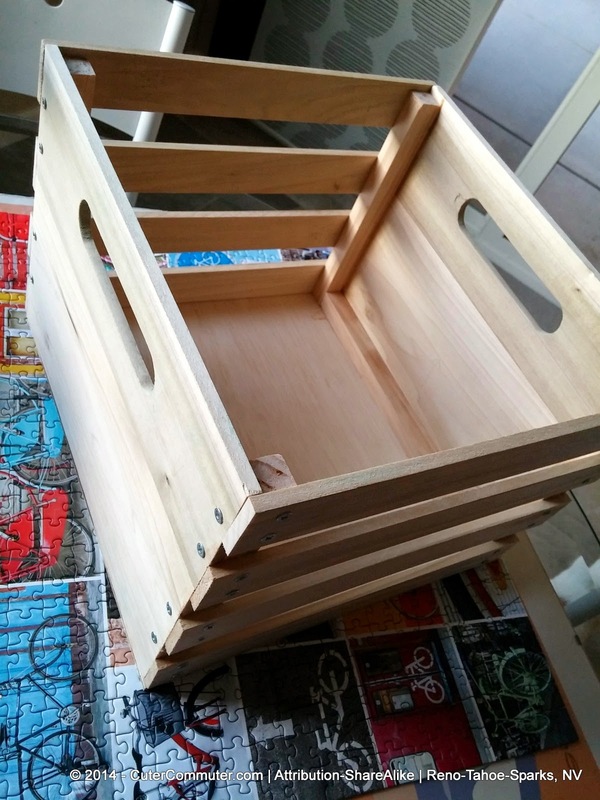 Over the weekend, John and I built this wooden crate made out of poplar wood to put on the front rack of my bicycle. 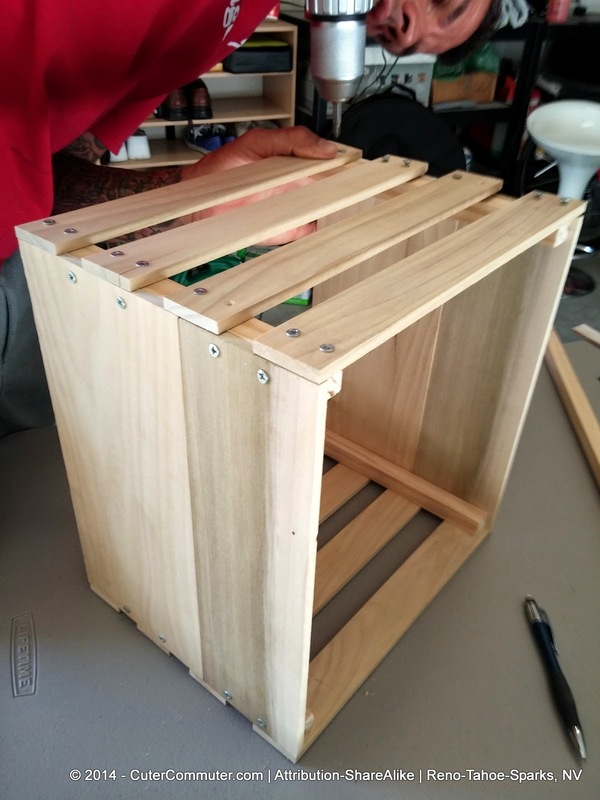 The crate still needs stain, varnish, hardware and leather straps (to attach the crate to the handlebar and rack) before the project is considered finished. Normally we would buy this stuff because we're not woodworkers. And because of that, I really cannot provide steps with confidence for how to build your own. But if you really want to know, just post a comment below or shoot me an email at info@cutercommuter.com. I can point you to a great video on YouTube as well. dimension in order to fit on the front rack of my bike. I also wanted to make sure it was sturdy but as light as possible. Many of the crates for sale are made with thicker pieces of wood which would make them heavier. 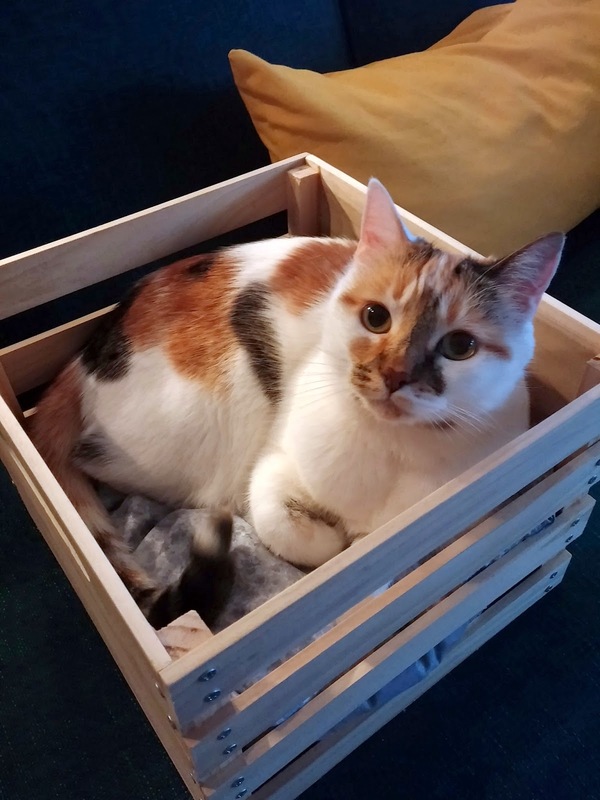 Any milk crate will not do because this crate is designed to carry our cat who likes to go on bike rides. 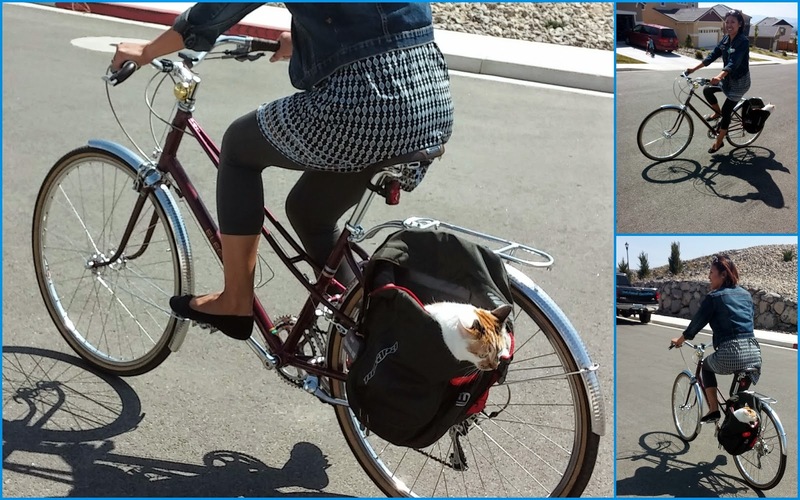 At I took our cat on a ride in my pannier bag. But I wanted her to have a higher view and be in the front where I can keep an eye on her. So I got a DVD box and strapped it to the front of my bike for her to sit in. It was too narrow for her to turn around in or sit facing forward. After a 1.5 mile bike ride she wanted to get out. 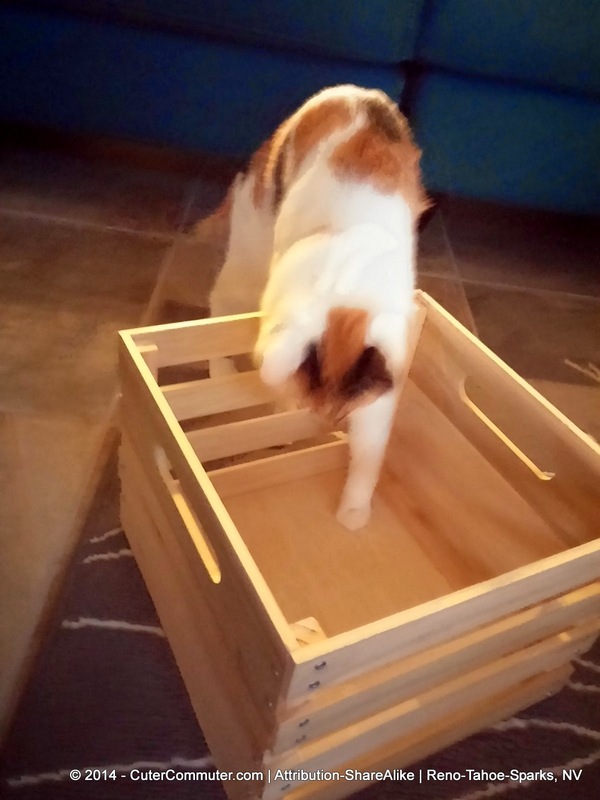 I set the crate down for her to try it out. And it looks like the dimensions are purrrfect!! I definitely think they like it. 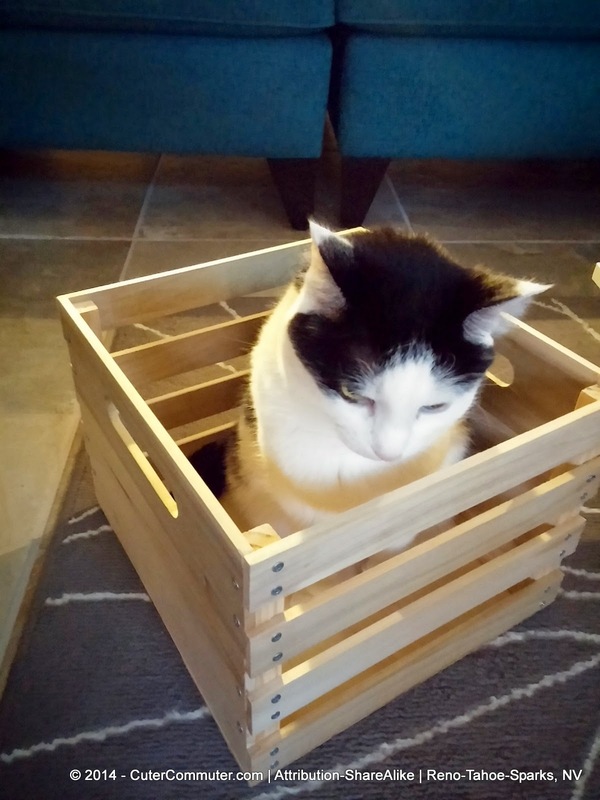 Oh--I will be sewing a foam cushion to place at the bottom inside the crate for our cat to sit on. And building a safety cage to put on top to keep our cat from jumping out to chase birds or rabbits in our neighborhood. 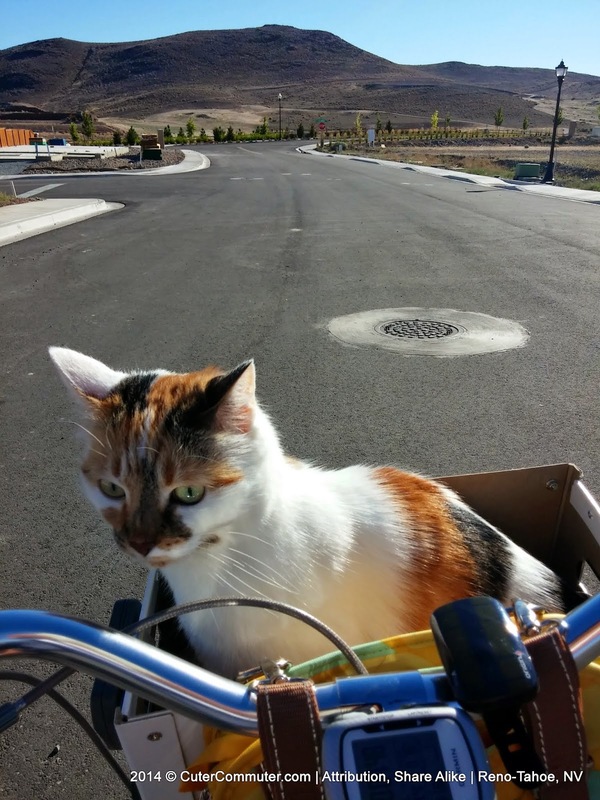 A cat that likes bike rides....I love it! I took our other cat to the vet and she seemed to prefer riding on a bike over a car and that's how it all started LOL! !